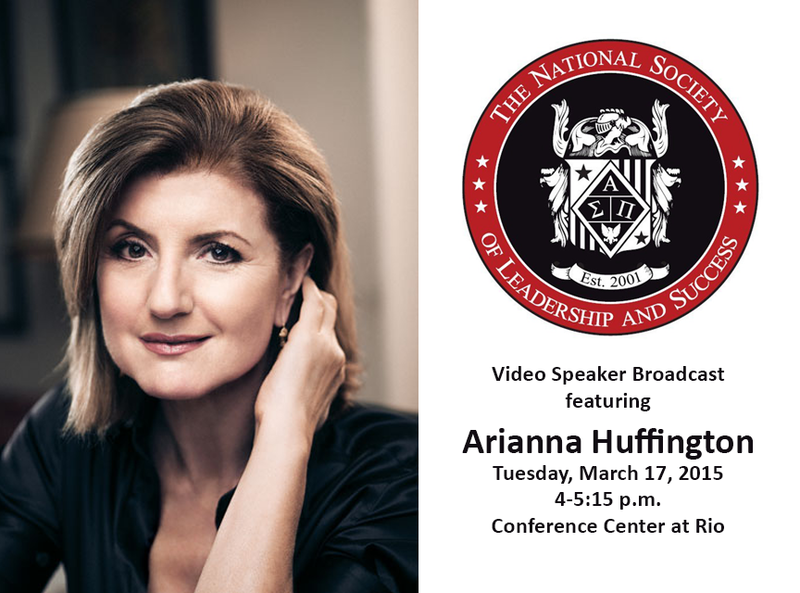 Rio Salado College | RioNews: Arianna Huffington Live Telecast Tomorrow! Arianna Huffington Live Telecast Tomorrow! Don't forget about tomorrow's live telecast with Arianna Huffington, founder and editor in chief of The Huffington Post and #1 New York Times best-selling author of Thrive. Huffington will share advice on redefining success, and creating a life of well-being, wisdom and wonder. Free and open to students, staff and the public. This event is being hosted by Rio Salado's National Society of Leadership and Success chapter, which provides opportunities for students to engage with other students while developing important life skills. The National Society of Leadership and Success is the nation’s largest leadership honor society. It was founded in 2001 to build a community of like-minded, success oriented leaders who come together to help one another succeed. The Society offers interactive broadcasts with the nation’s best speakers, training in goal setting, and team meetings in which students set and hold each other accountable for achieving goals. These benefits, which aim to help members personally and professionally, are offered for the rest of their lives. Today, the Society has chapters on more than 400 college and university campuses nationwide and serves more than 350,000 members. For more information, please visit http://www.societyleadership.org.